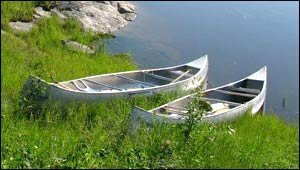 A visit to Kenora would not be complete without canoeing on Lake of the Woods. 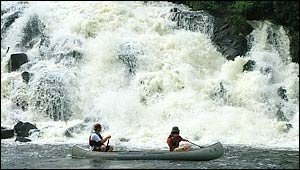 Green Adventures offers canoe rentals, guided canoe trips and canoeing instruction/lessons. Paddle Canada's national paddling programs have proven themselves to be the ideal mechanism to extend and deliver our mandates of environmental awareness and protection as well as the preservation of the canoe and kayak as a part of our national heritage. More Canadians are, and continue to be, exposed to Paddle Canada's message through our instructional programs than ever before. Included: Instruction by knowledgeable CRCA level 1 and flatwater instructor, canoe rental, safety gear. Paddlers are also taught the Leave No Trace principles for active environmental awareness and protection in order to help ensure that we can all continue to enjoy Canada's many waterways and wilderness for years to come.